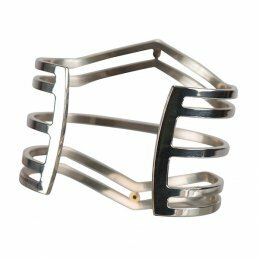 Categories: Artists, Carol Krena, Jewelry, Men, Women, Bracelets, Everything Turquoise. 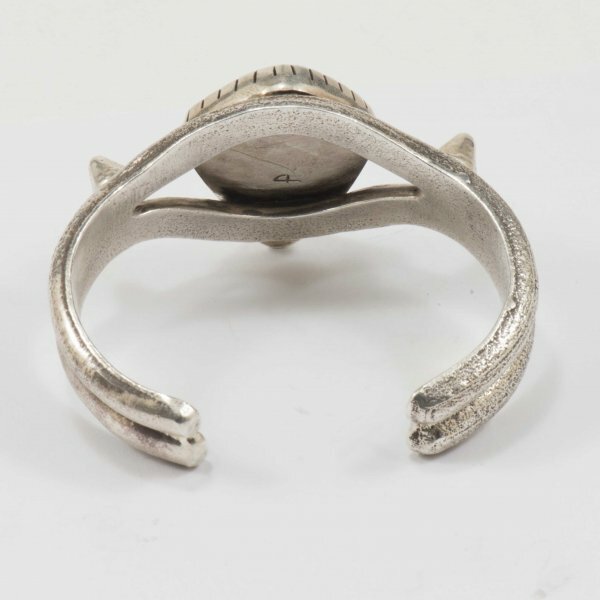 This beautifully crafted tufa cast sterling silver cuff by metalsmith Carol Krena showcases a large cabochon of exceptional, gem quality Number 8 Turquoise. 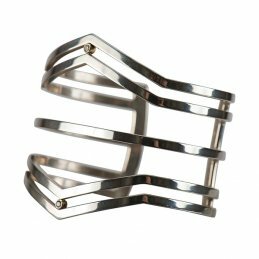 The heavy silver bracelet is balanced by an open cuff design and simple silver spike embellishments for a refined, sophisticated presence. 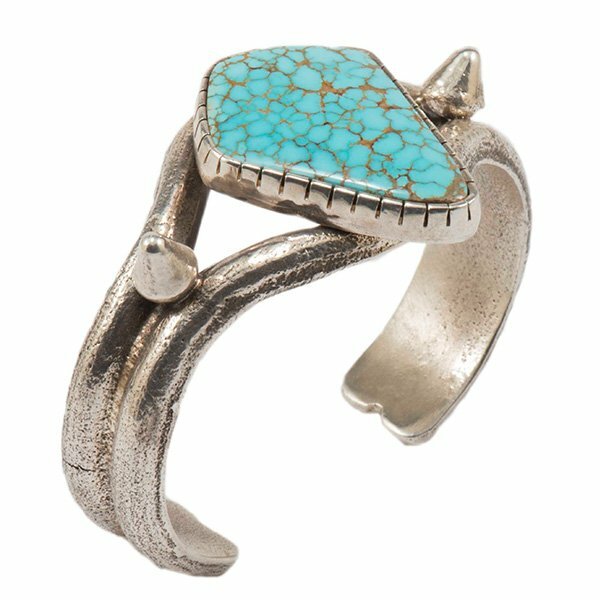 Number 8 Turquoise has become one of the most valuable and appreciated types of turquoise by collectors. 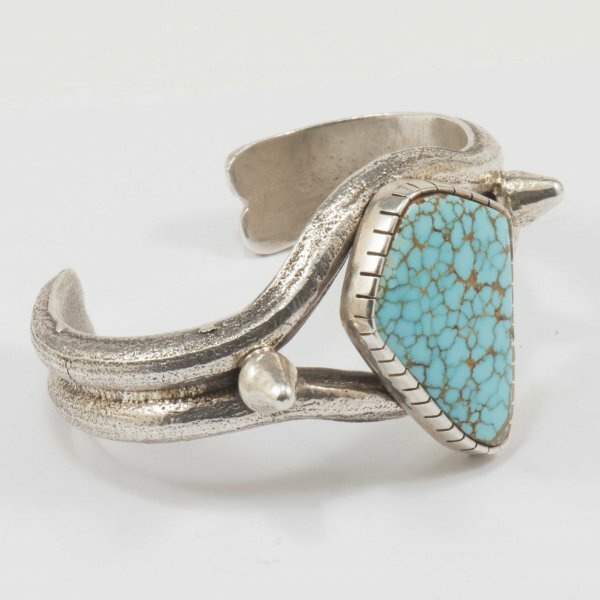 Located in Nevada, the mine produced high quality turquoise consistently light blue in color with an attractive spider-web matrix of various shades of black, brown and gold. Since the depletion of the mine in 1961, there is a very limited amount of the high grade stone in existence.